With effective and regular maintenance, you can successfully increase the performance and longevity of your roof. A roof is an integral part of any building and is also the most vulnerable due to wind, hail, rain, snow, sleet and ultraviolet radiation from the sun that can affect the performance of your roof. Roof maintenance is vital to prevent you from suffering any problems with your roof so that you can easily identify problems early to avoid costly repairs and further damage. This extends the longevity of the roof, increasing the time between repairs to save you the significant costs of replacing a roof. By regularly maintaining your roof, you can avoid structural damage to the roof as roof leaks can lead to steel becoming rusted or rooting wood that can compromise your property’s strength and durability, which can incur a costly fix. With consistent maintenance, you can preserve the interior of buildings, protecting the contents and people inside, avoiding the significant costs of replacing contents. For example, if water leaks onto a TV or computer due to a faulty roof, this can incur high costs and also result in the potential loss of your data. It is important to keep roof traffic to an absolute minimum to preserve the protection that a wellmaintained roof can provide. When you expect for there to be roof traffic, we recommend providing walk pads or roof pavers to protect the surface of the roof. Where possible, it is important to strive to limit access to a roof. During the winter months, it is important to keep roof traffic to a minimum as cold weather can result in the roof membrane becoming more brittle and therefore more susceptible to damage. 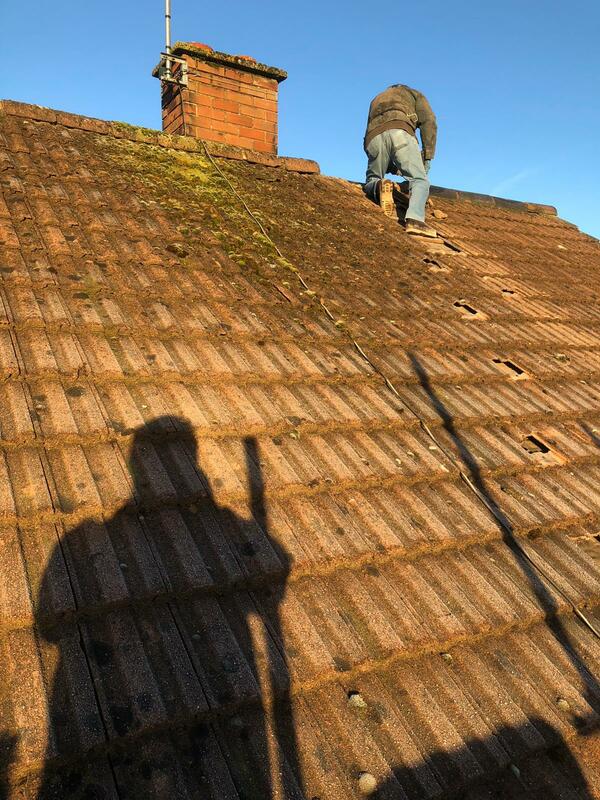 Has your roof suffered damage or worn away over time? 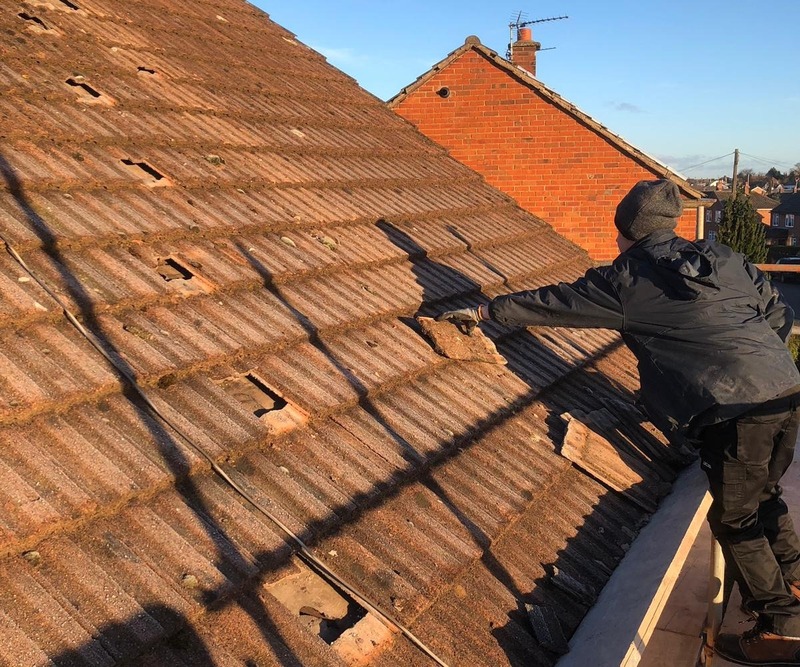 There’s no need to worry as we offer a large choice of roof repair services, whether you need to replace broken tiles or slating. Unfortunately, no matter how well-constructed a roof is, this integral aspect of a property will need some repairs. We completely understand that everyone needs a roof over their heads and so will strive to respond and repair quickly so that you can have peace of mind of a secure and safe roof. Whether you feel the damage is minimal or significant, it is important to fix these issues quickly to avoid any further damage. If you think that your roof requires repair work, our first step will be to carry out a short inspection using our expert team of experienced roof technicians. This allows to clearly understand the extent of the damage so that we can propose the best way to fix any problems, providing clear and expert advice. Then, we will carry out all necessary repairs using the highest quality materials to ensure that your roof retains its beauty and durability. For more information on any of our roofing services, please feel free to contact us today by calling us on 01691 575456 or email us info@wyevaleproperty.com. The Barn at Brookside, Kinnerley, Oswestry, SY10 8EL.